Posted January 18, 2010 in Natural History. 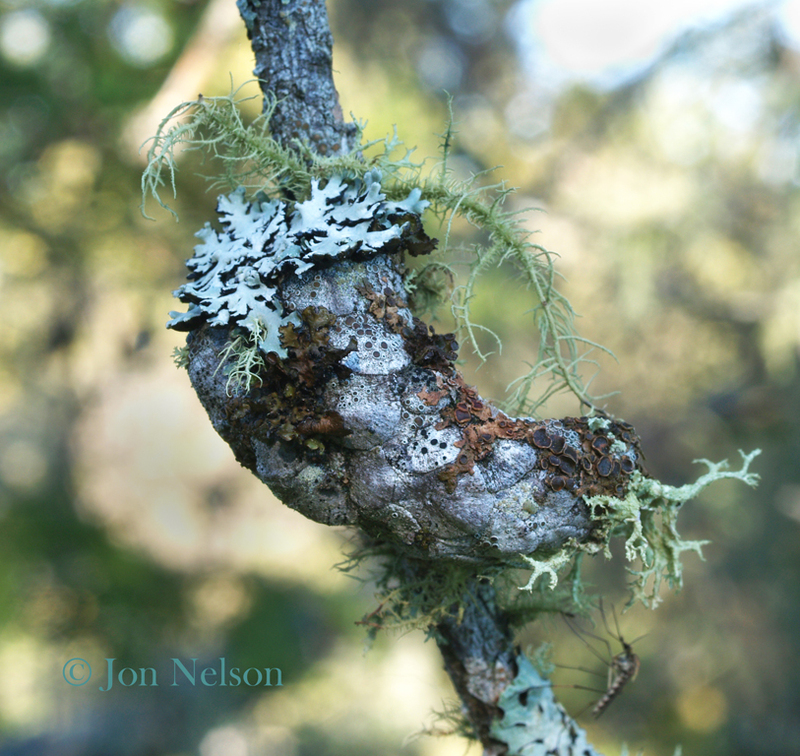 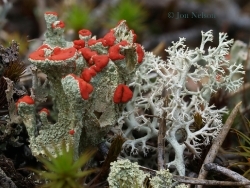 Lichens are an intriguing combination of a photosynthetic partner (usually an algae) and a fungus. 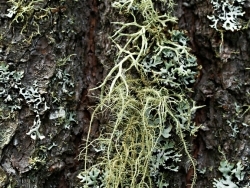 This symbiotic relationship allows them to grow in places – surface of rock, tree bark, and shingles on roofs – where other organisms have great difficulty. 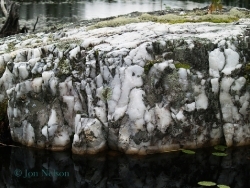 These images are from Quetico Park or areas adjacent to the park. 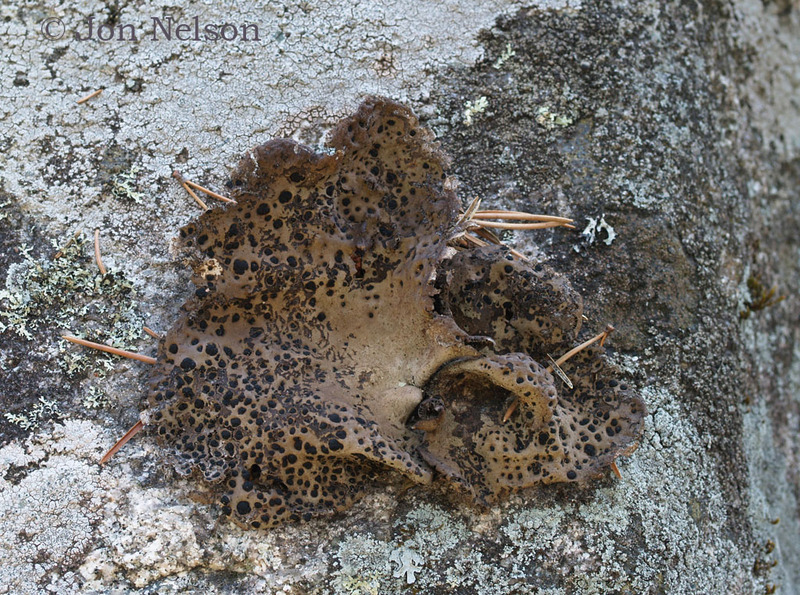 This lichen with the wonderfully descriptive name - toad skin lichen - was photographed near Nydia Lake in northwestern Ontario. Lichens growing at the end of branch of a dead Jack pine near Kawene Lake. 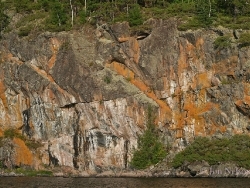 A veneer of lichens covers this cliff on Beaverhouse Lake. 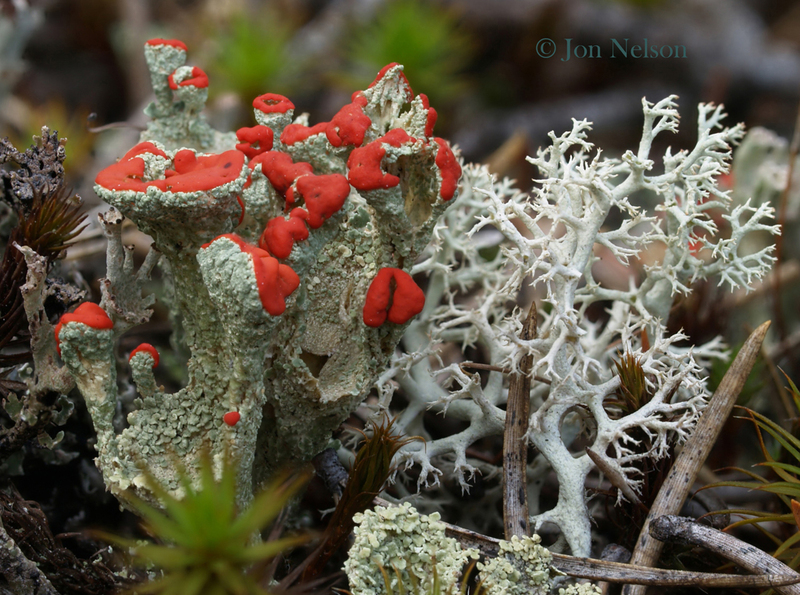 A slab of bedrock near Nydia Lake is home to a luxurious growth of lichens and some moss. 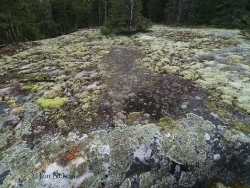 An outcrop of quartz north of Quetico Park supports a diverse crop of lichens. 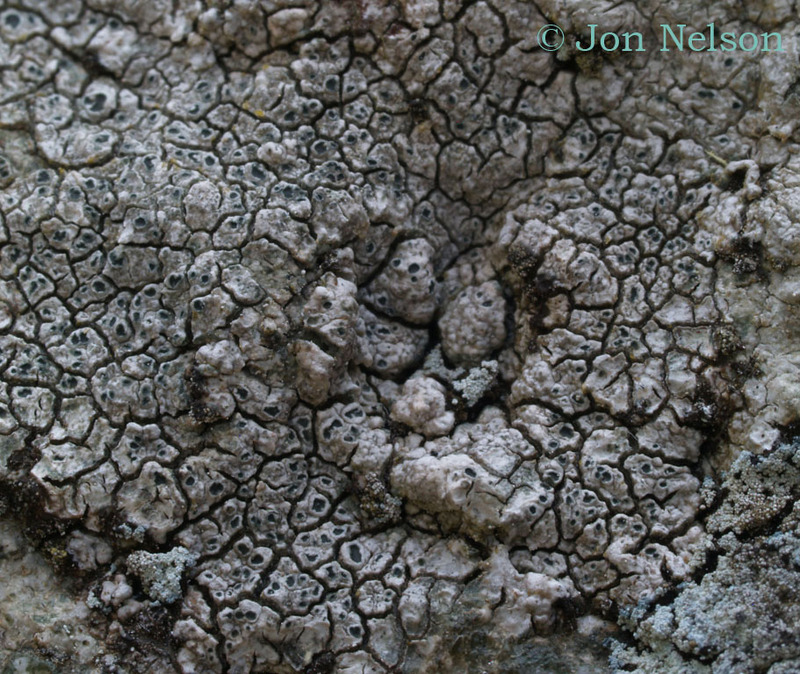 A close-up look at a crustose lichen. 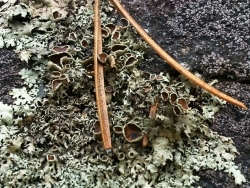 The image is only about one inch across. 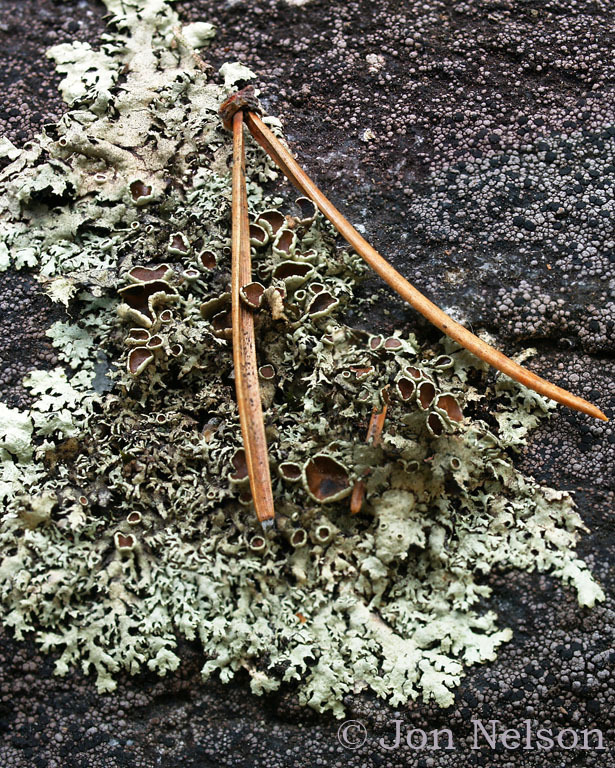 A jack pine needle resting on a lichen covered boulder. 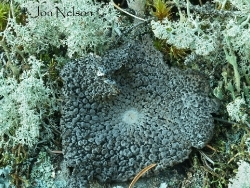 Rock tripe is very common on cliff faces and large boulders throughout northwestern Ontario. 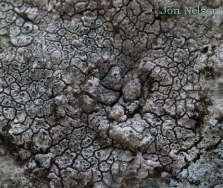 A solitary rock tripe lichen. 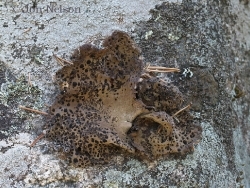 A eye-cathing brown foliose lichen with hairs on the back is growing here at the base of a well rotted tree. 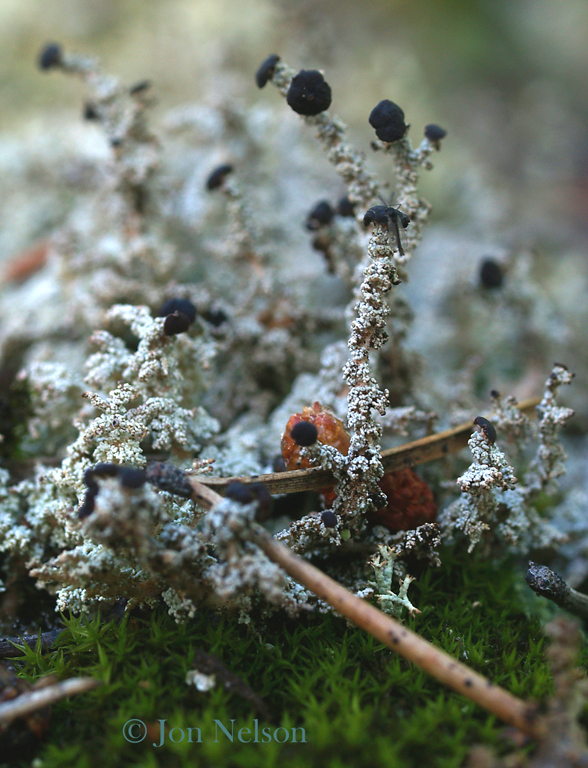 A lilliput world exists at the base of a small decaying tree. 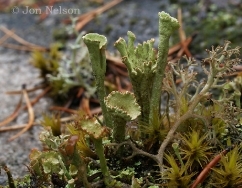 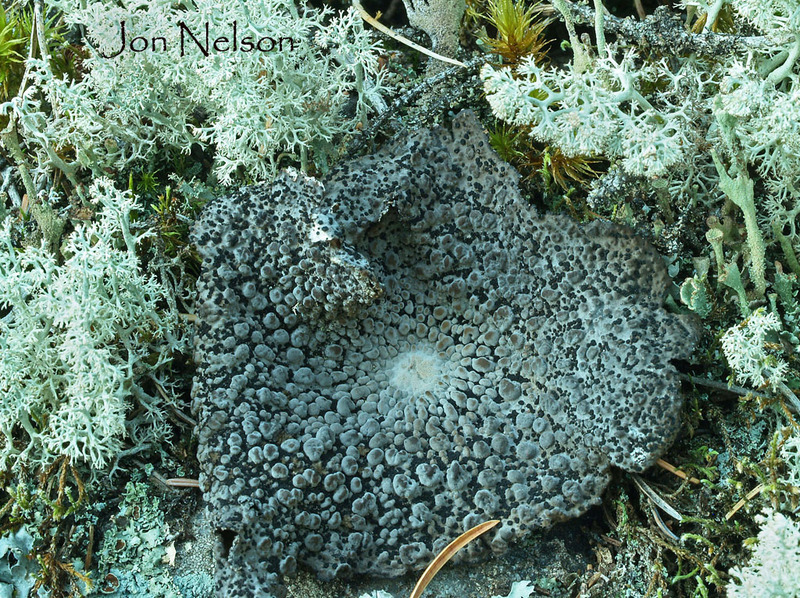 A British soldier and a Cladina lichen grow side by side near the base of a tree on Jasper Lake. 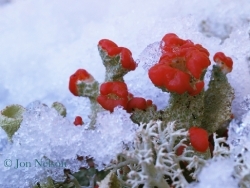 British soldiers protruding through a late September snowfall. 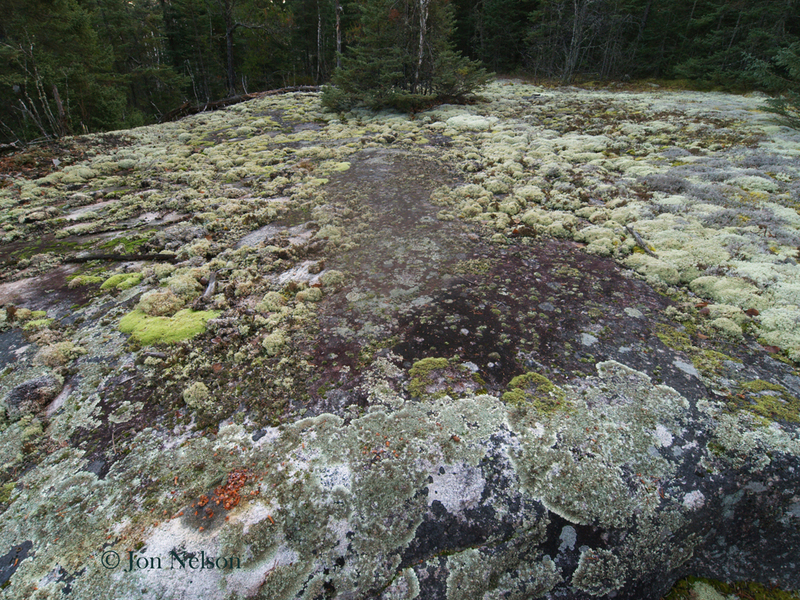 A tiny landscape of lichen and moss near French Lake in Quetico Park. 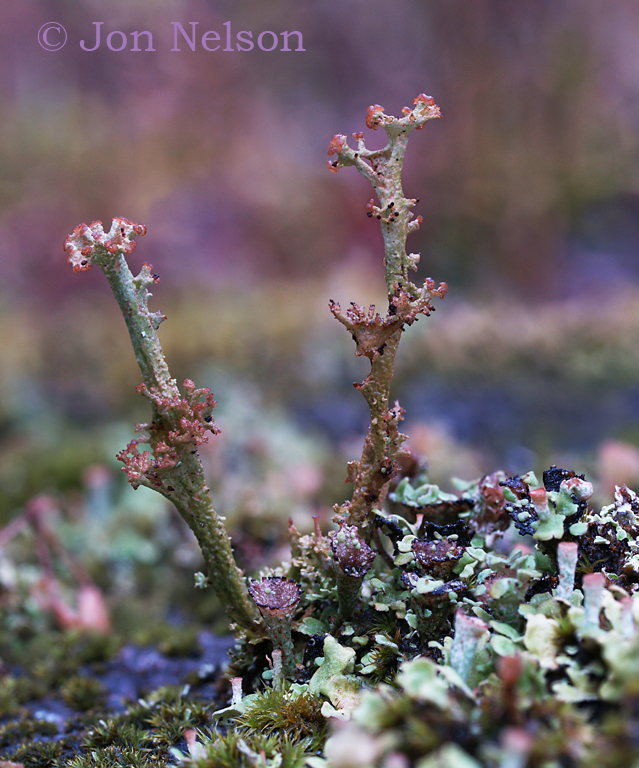 Two tall and lean lichens growing on a small gravel knob. 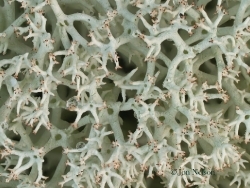 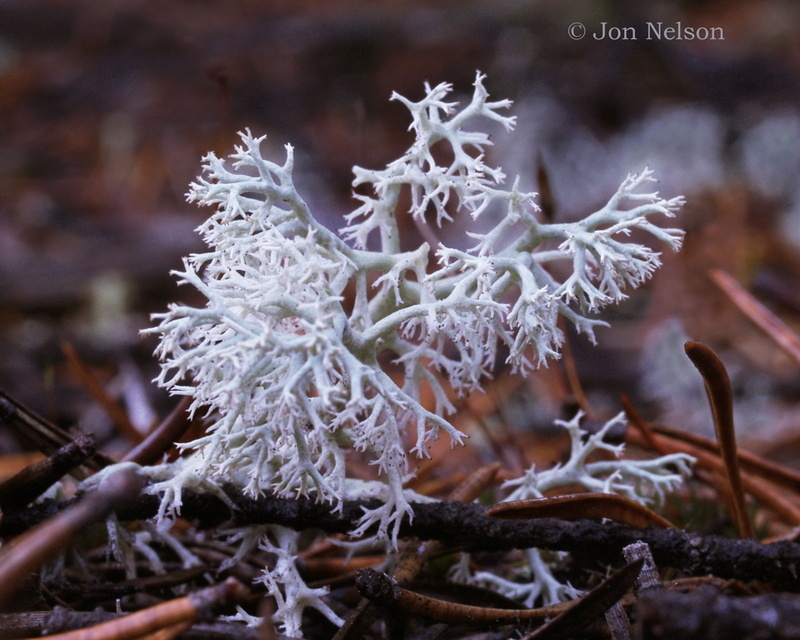 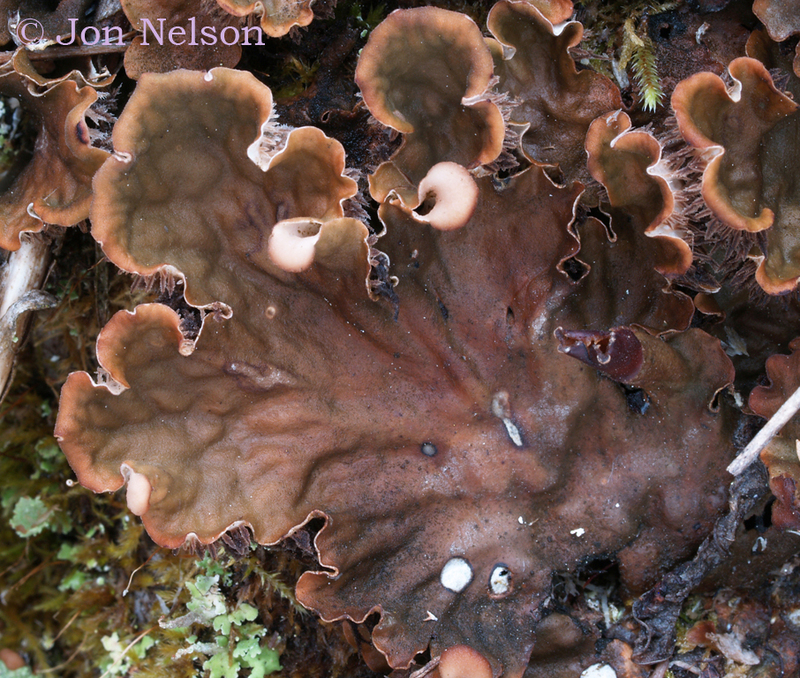 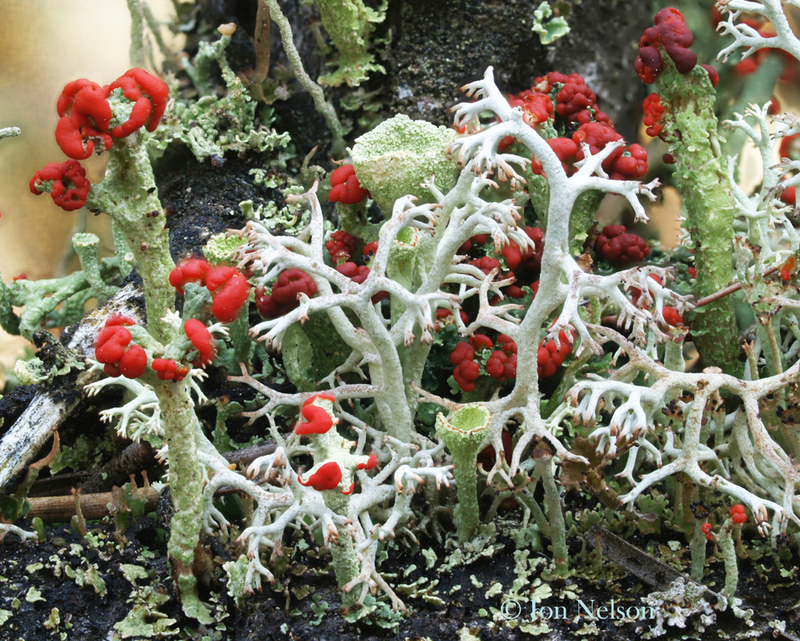 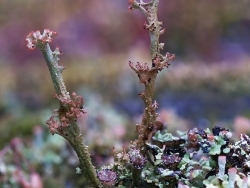 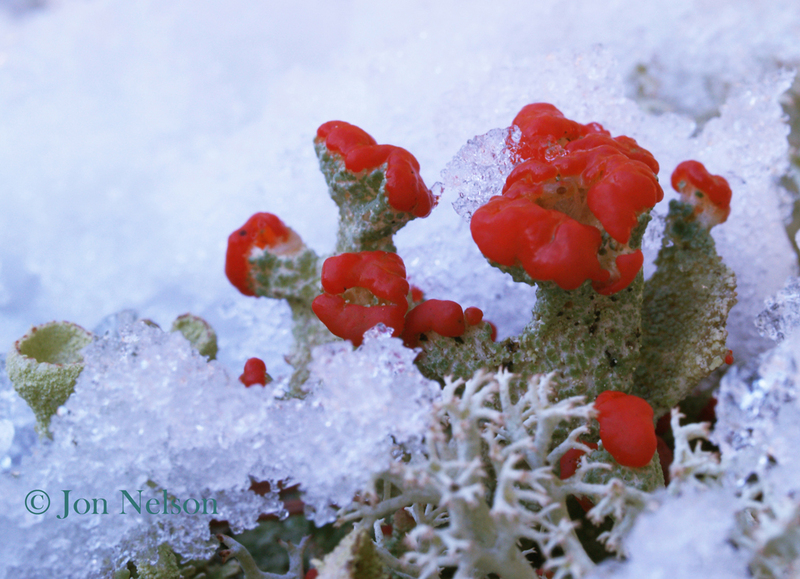 When a macro lens is used, a caribou lichen resembles coral. 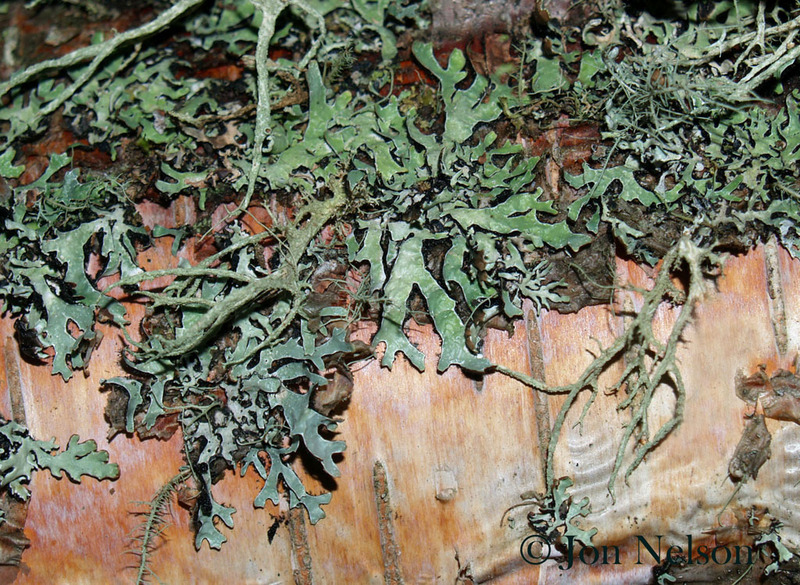 Foliose and fruticose lichens on a fallen and decomposing white birch tree. 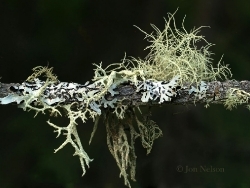 A diverse group of lichens on a dead spruce branch. 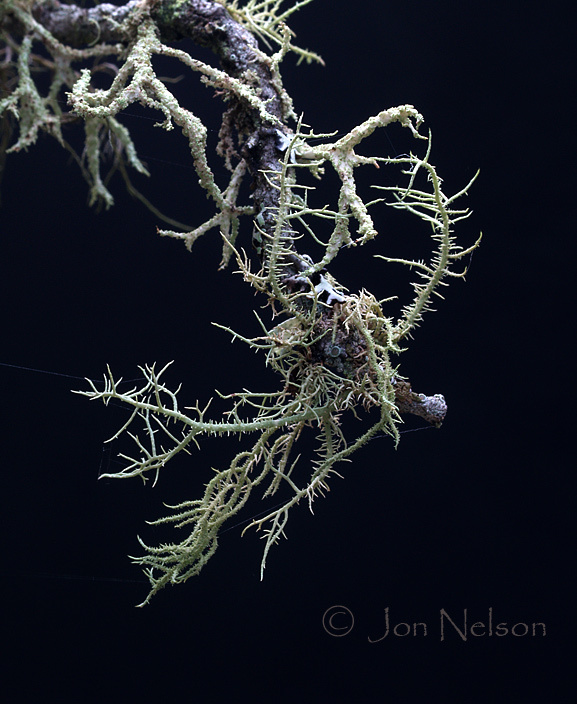 Another example of the varied species of lichens that can grow on a small tree branch. 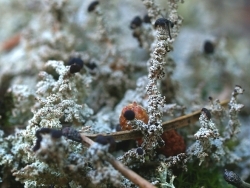 Lichens of many varities flourish on an old jack pine cone. 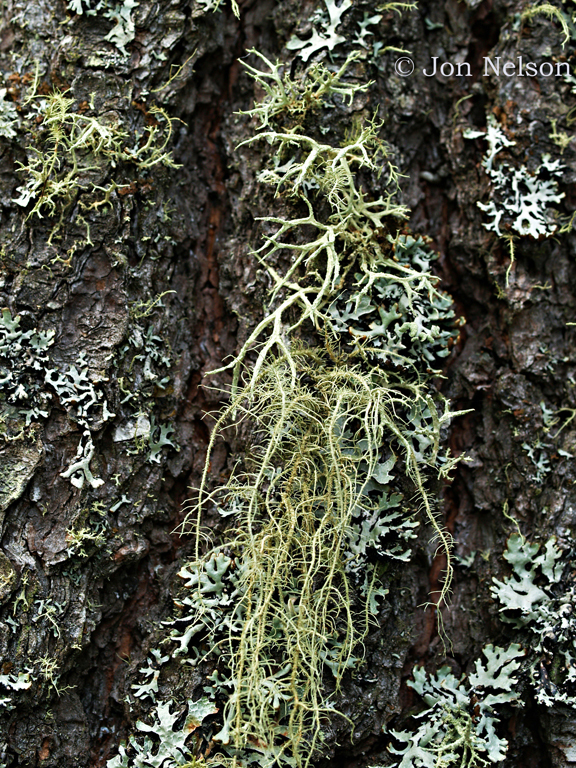 Bark of a mature white pine supports a healthy lichen growth. A Jack pine needle lies across this rock foam lichen. 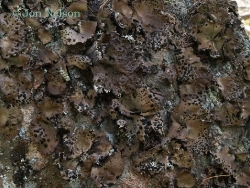 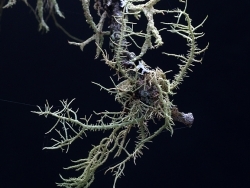 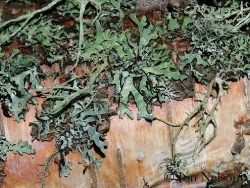 In this close-up of one of the many species of Cladina lichens, this lichen resembles the branches on a tree or shrub. 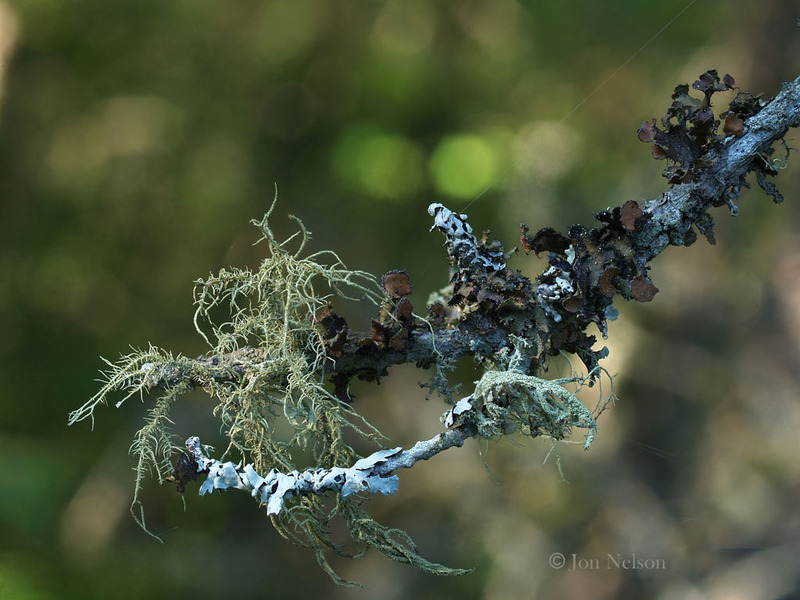 Really enjoyed your lichen photos. 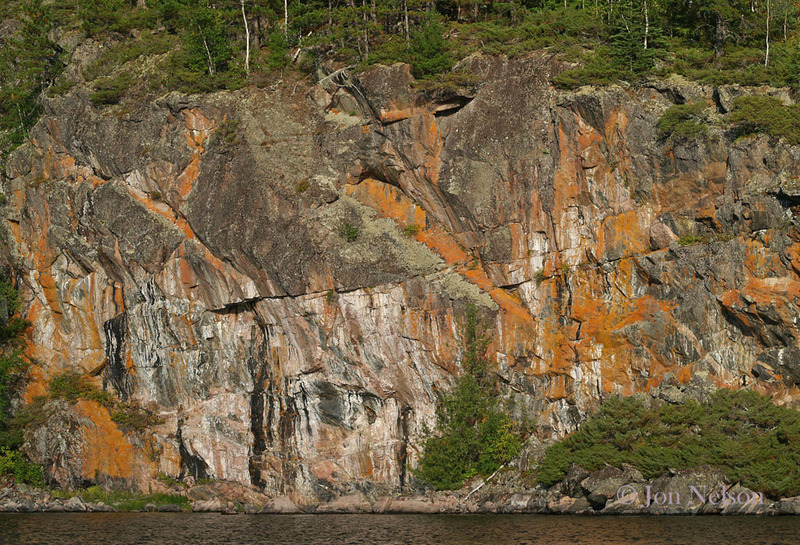 Ihave seen most of these in Newfoundland over the years.